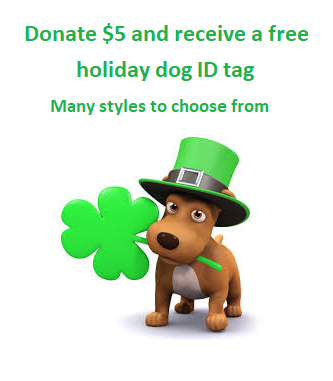 Lost Dogs Illinois is a registered Illinois charitable organization, 501 (c) 3 all-volunteer organization and is a FREE service. .
Facebook postings are not automatic and will be posted as soon as one of our volunteers is available to post. In the meantime you can utilize the resources contained on our website to help you in finding your dog; Lost Dog Action Plan, 5 things to do if you lost your dog and more. These tips/resources are located under the tab named Lost a Dog. LDI discourages the use of rewards and this is why. Please utilize our website resources to launch a comprehensive search for your dog! Statistics show getting the message out quickly is essential to recovery and remember not everyone with a computer is on Facebook. Many fans post information in regards to your dog, please add your name as a “tag” on your LDI missing dog post so you will receive Facebook alerts with possible new information about your lost dog. To Tag: Go to your dog’s photo and click onto the photo; then click “Tag Photo”, which will be to the right of the pic and/or bottom of the pic. Click one more time anywhere on the photo, enter your name in the pop-up box, then press enter. Then click “Done Tagging”. Please feel free to email us at lostdogsil@gmail.com or Facebook message on the LDI Facebook page should you have any questions. If you live in the Chicago area, please contact & physically go to City of Chicago Animal Care & Control (312-747-1406) and Animal Welfare League (708-636-8586). Also check Petharbor. If you don’t know where your city, township or county’s lost animals are held, call your local (non-emergency) police department for information. When you are reunited your dog, please complete the status update on http://www.helpinglostpets.com/v2/MyPets.aspx and let us know what worked to get your lost dog home. This information is very helpful to the other owners of lost dogs. 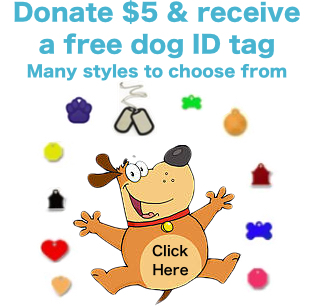 Lost Dogs Illinois (LDI) is a FREE Service for all to use. If someone contacts you and claims to be a volunteer or an employee of LDI and is asking you to pay them to help you, then they are trying to scam you. If are contacted in this manner, please file a complaint with the Illinois Attorney General Office.